A: Not at all. We will slowly work with you to get you in better shape. In fact, Most of our new members join us to get in shape. Q: Can women join the program? A: ABSOLUTELY! The program is open to both women and men. Q: Do I need previous martial arts training? A: Not at all. We will teach you everything from the basics to advanced techniques. As always, having prior experience always helps. Q: Do I have to do contact and sparring? A: Muay Thai and Brazilian jiu-jitsu are contact sports. As such, expect to have some contact with your training partner during the class. However, you don’t have to spar if you are not interested even though we do encourage you to try sparring. Q: I’m pretty busy. What if I can’t train very often? A: We offer a full schedule of classes. We add classes as required and according to students need. Most people train 2-3 times a week. A: For your first class we have our loaner gear. If you decide to join our school you will need to get your own gear. A list of the gear needed can be obtained at the front desk. A: Our uniform consist of a pair of Muay Thai shorts and a gym T-shirt. It’s very informal compared with traditional martial arts schools. If you train in Brazilian jiu-jitsu you will need to wear a Gi or No-Gi uniform. We have a full list or required uniform at the front desk. Q: Is the gym expensive? A: We offer several different memberships. Depending on the period you join for and what other classes you decide to do. The list is available on our Membership section of the website. A: We offer a 2 week trial for $19.99 backed by our 100% money back guarantee. You can see the list of trials here. A: ABSOLUTELY! Friends that work out together come more often and see results more quickly! Plus, if you bring a friend and he joins our school, You will get one FREE month added to your membership (must mention this when your friend comes). Q: Do you offer any other martial arts? 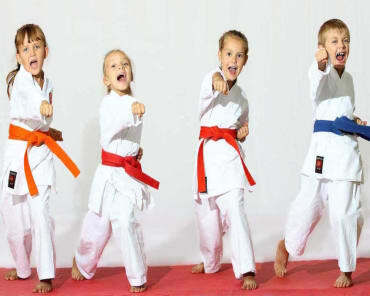 A: We also offer a full Brazilian Jiu-Jitsu program, Mixed Martial Arts and Tae Kwon Do for kids and teens.